Elegant and comfortable, the Gilded Age Bed makes a bold statement in a modern or traditional bedroom. 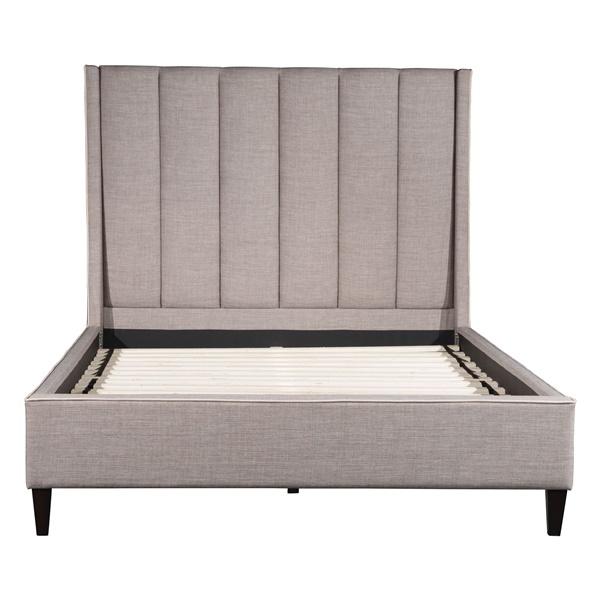 The bed is equipped with slim tufted panels in a dove grey poly-linen upholstery to deliver an exceptional mix of quality and style. It also boasts a European slat system for outstanding support and regal wing-back design to further enhance the bed's overall appearance. Get the Zzz's you need thanks in part to a deluxe bed � the Gilded Age Bed.